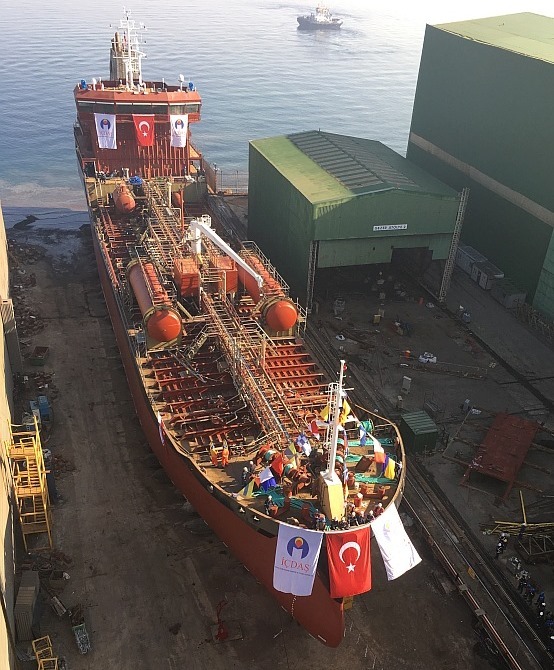 Designed by Delta Marine, classified by ClassNK and built for ICDAS, 7500 DWT Stainless Steel Chemical Tanker M/T ICDAS-29 has been successfully launched on 12 March 2018. Thanks to STAINLESS STEEL cargo tank structure, the vessel able to carry the most aggressive, corrosive or volatile liquids in 16 cargo tanks. The vessel is expected to deliver third quarter of 2018.